Princess Ellie is darling!! You can go get one for yourself HERE. All Christine’s images are so fun to color and easy to incorporate into your project. 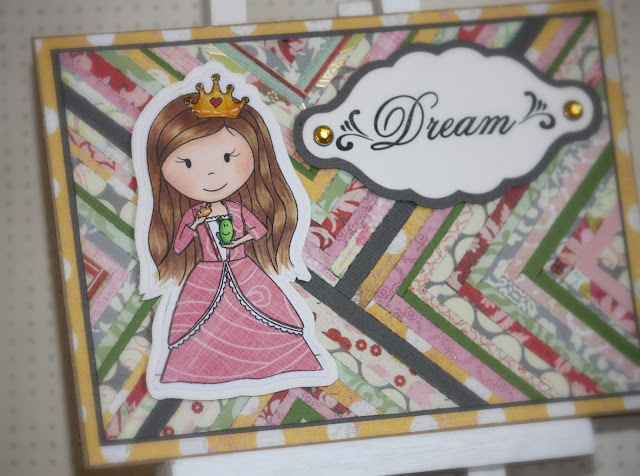 I started off piecing the background…thin strips in a chevron pattern. I like to mix and match patterns and colors. For some reason I color with my Copics first and then mix the papers and create whole design second. He..he…I think I do it all backwards :o) I have a limited amount of Copics, so I think that is why. 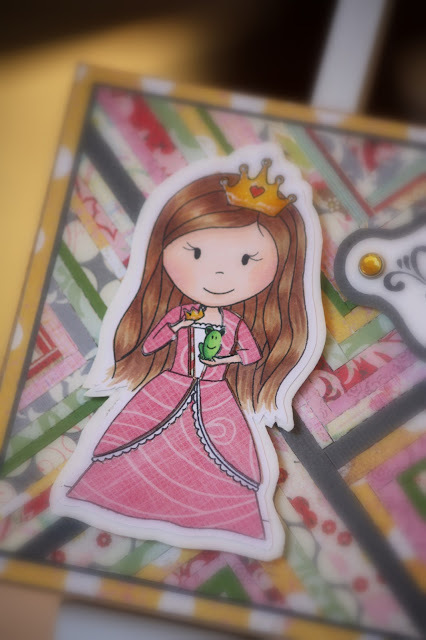 I paper pieced Ellie’s dress and added gloss accents to her crown. Like I said she is so darling and so fun to color.